Professional networks play a pivotal role in our overall growth. Sometimes, a right kind of professional network can completely change our lives. Ironically, most of us spend a large portion of our precious time surfing social networking websites and mobile apps. In spite of having numerous advantages, professional networking website and apps are the most underrated. If used in the right way, professional networks can open the doors of our dream career opportunities in just a few clicks. All we need to do is choose a right kind of professional networking websites or mobile apps for going extra miles in our respective careers. 1. 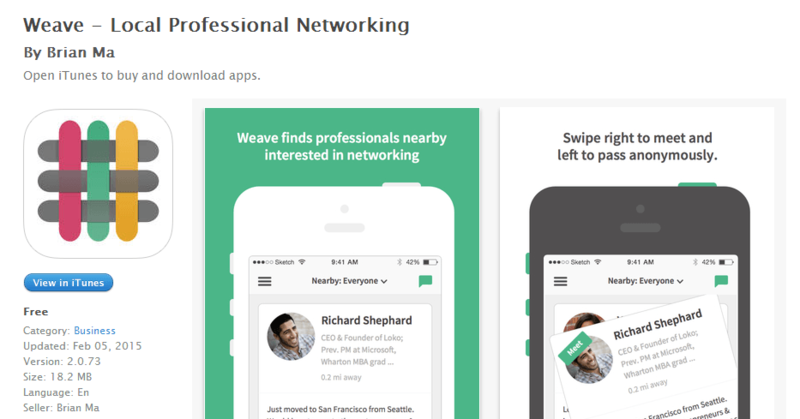 Weave – Weave is the easiest way to professionally network. Just flip through other people that are also open to networking nearby. If they also want to meet you, Weave will connect you both. 2. 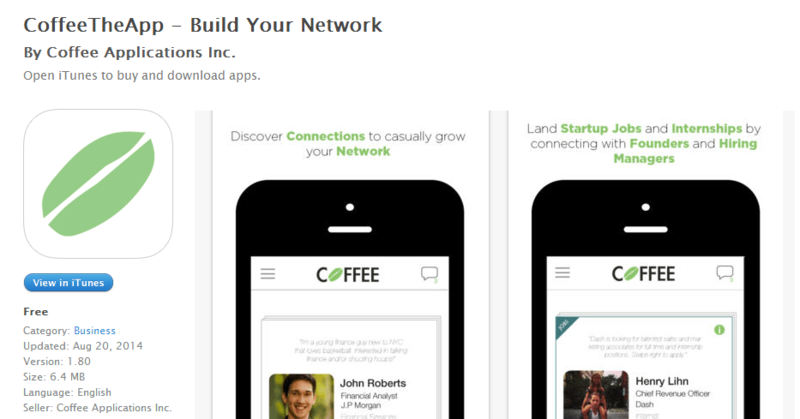 CoffeeTheApp – This app aims to connect the next generation of professionals through a mobile networking platform. Use this app as a casual way to meet interesting people and build your network. 3. NextSociety – This iOS app offers the easiest and most effective way to connect with the most important people in your network. It’s free, private, and safe. 4. 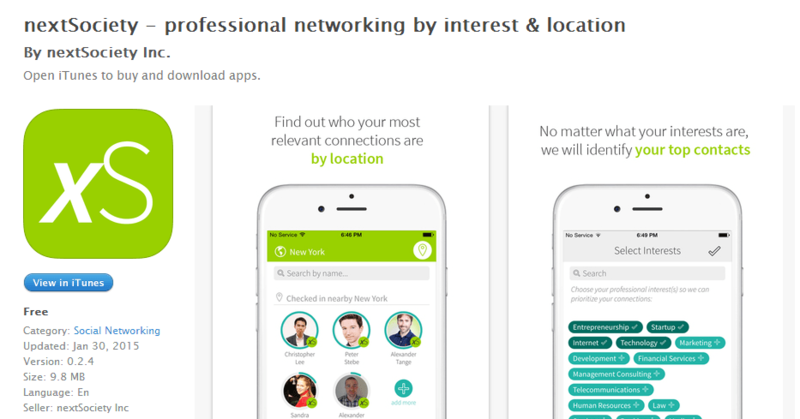 CanWeNetwork – This amazing iOS app recommends people nearby who you should meet for professional networking & business opportunities by incorporating your LinkedIn profile & geo-spatial technologies. 5. Caliber – This professional networking app is a fun way to meet new people by casually browsing highly personalized lists of the most talented people in the tech industry. We hope these suggested mobile apps will help our readers in finding new career opportunities with great ease. For more interesting news and update from the mobile industry, stay tuned to our official blog. Professional networks play a pivotal role in our overall growth. Sometimes, a right kind of professional network can completely change our lives. 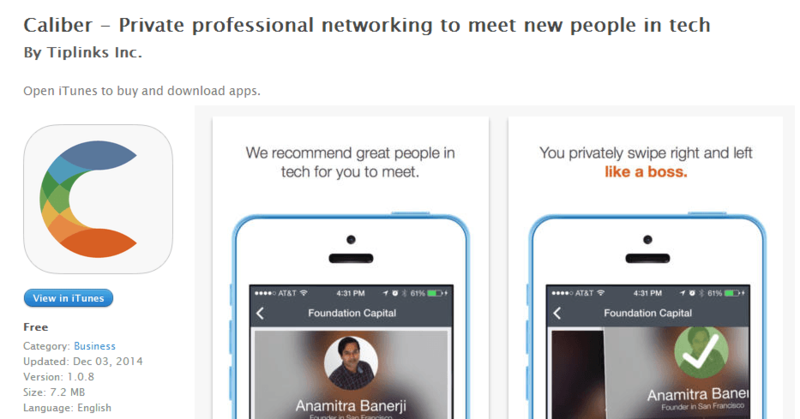 Here are some top recommended professional networking iOS (iPhone and iPad) apps for our readers.